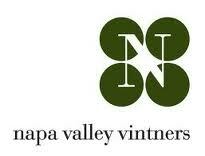 Napa Valley vintners step up monitoring of weather patterns to grasp how their world will shift. A Napa Valley winemaker recently climbed a steep hillside to reach a four-metre white weather station that towers above rows of Cabernet Sauvignon vines absorbing the mid-morning sun. Curiosity drove him to install the relatively inexpensive device in 1995, said Christopher Howell, general manager and winemaker at Cain Vineyard and Winery in the valley’s Spring Mountain region in St. Helena, Calif. But in the years since, its wirelessly relayed data -along with those of 100 like it now operating in the valley -has become crucial as Napa Valley vintners uneasily brace for a changing climate that they’re sure will come. The region’s wine growers had long heard of melting glaciers and Arctic ice sheets breaking apart in rising global temperatures. During the 20th century, global temperature increased by about 0.5 degrees C, and a UN climate panel estimates that, depending upon carbon dioxide emissions, temperatures will rise an additional one to 6.4 C by 2100. They’re playing catch-up in monitoring for climate change, and the Napa Valley Vintners, an industry group of 400 wineries, is wrapping up a fouryear study of climate conditions in Napa Valley.